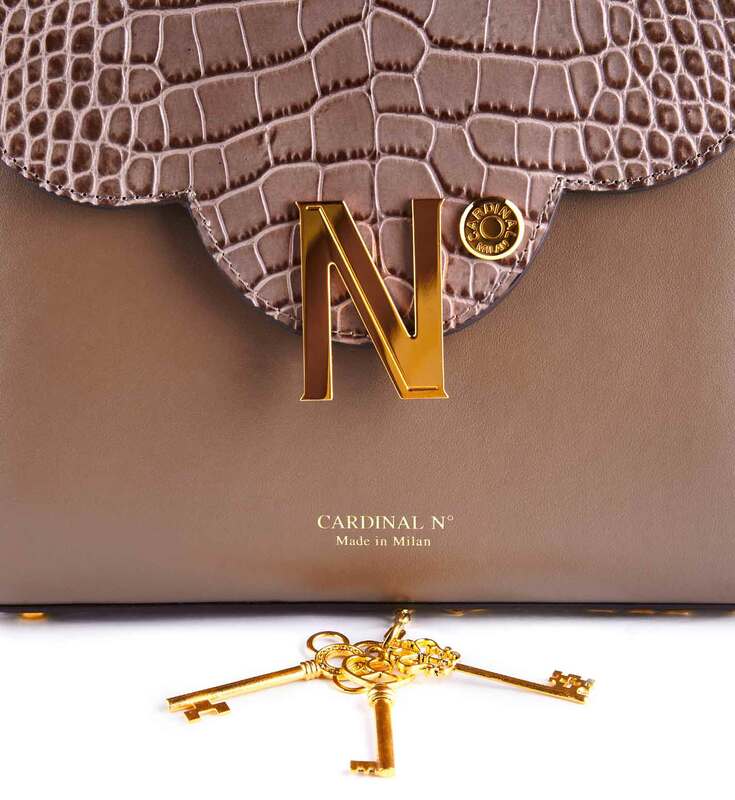 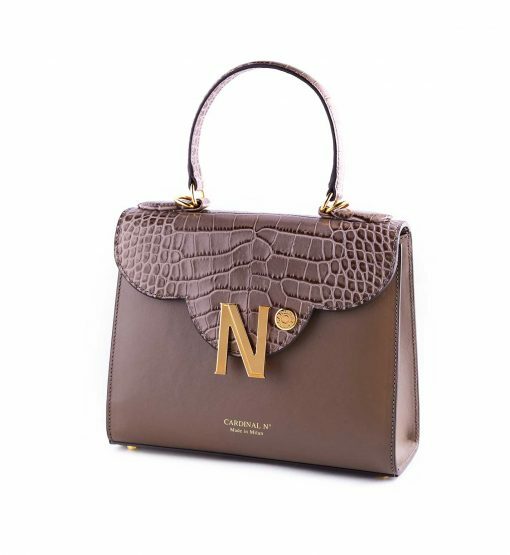 CARDINAL N° iconic ‘First lady’ top handle bag has an architecture-inspired front flap recalling trefoil detail of Milan gothic architecture. 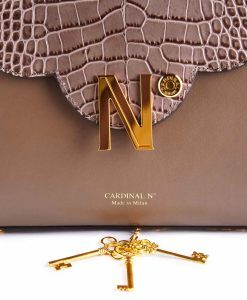 It is addorned with brand’s N° symbol – a recognizable detail in gold and 3 detachable keys. Trefoil and number 3 are the symbols of fortune and success. 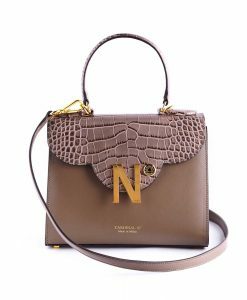 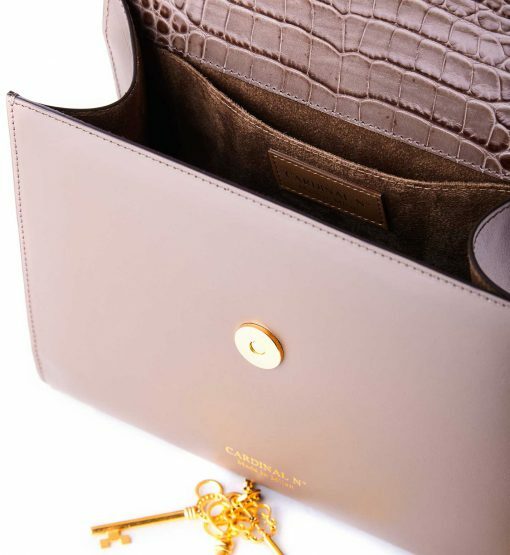 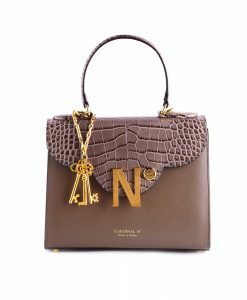 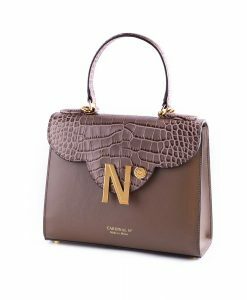 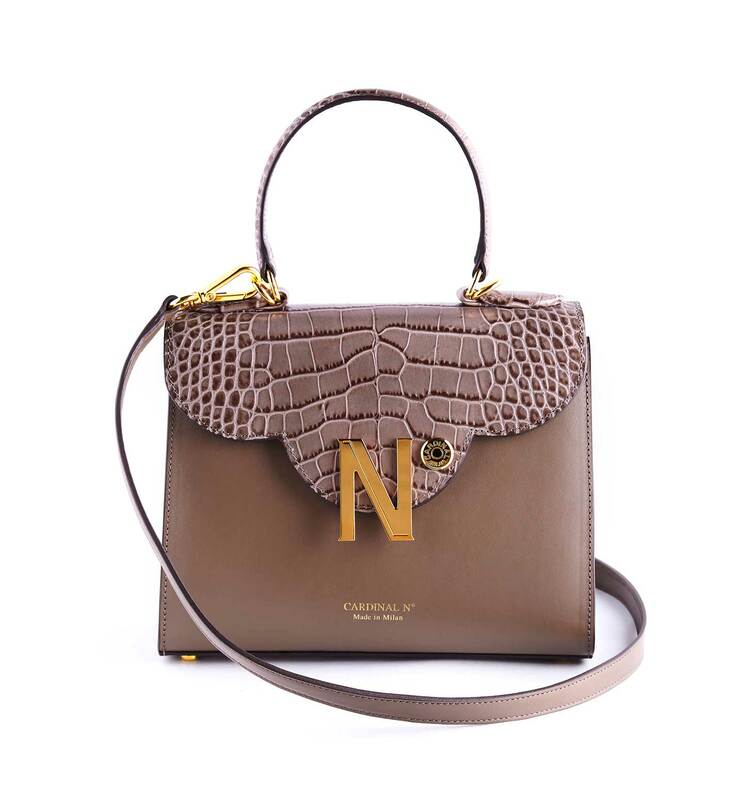 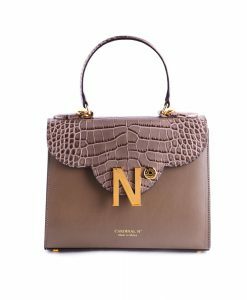 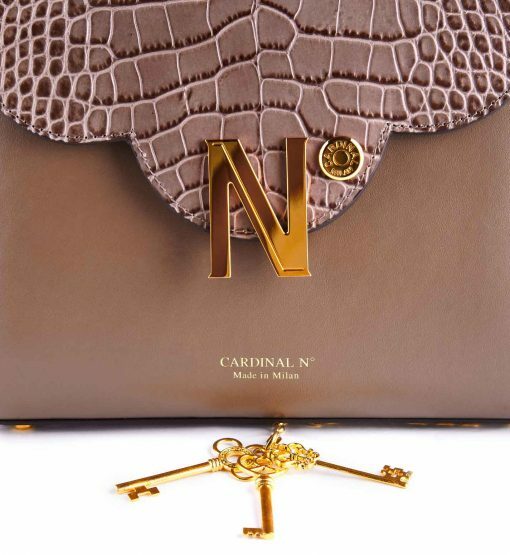 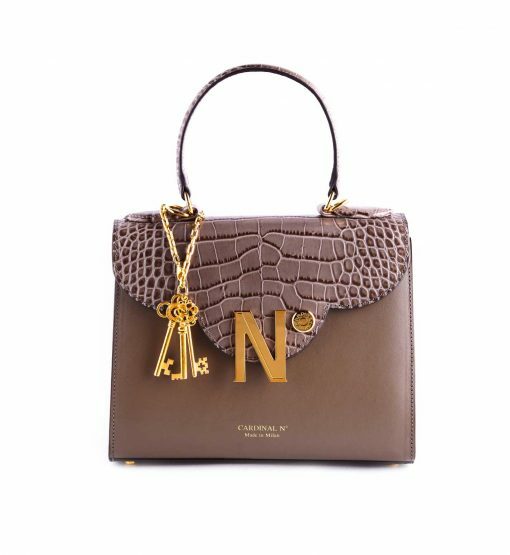 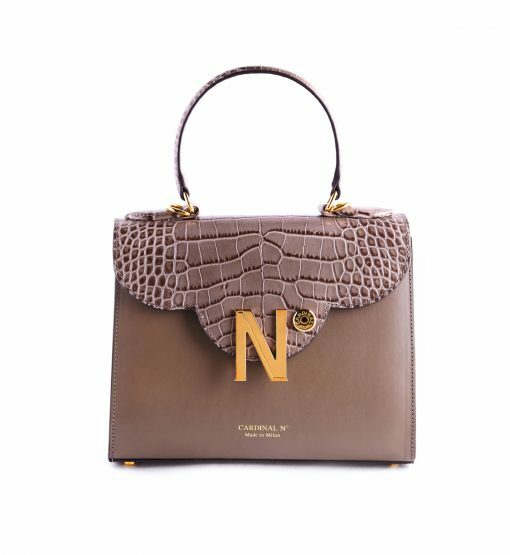 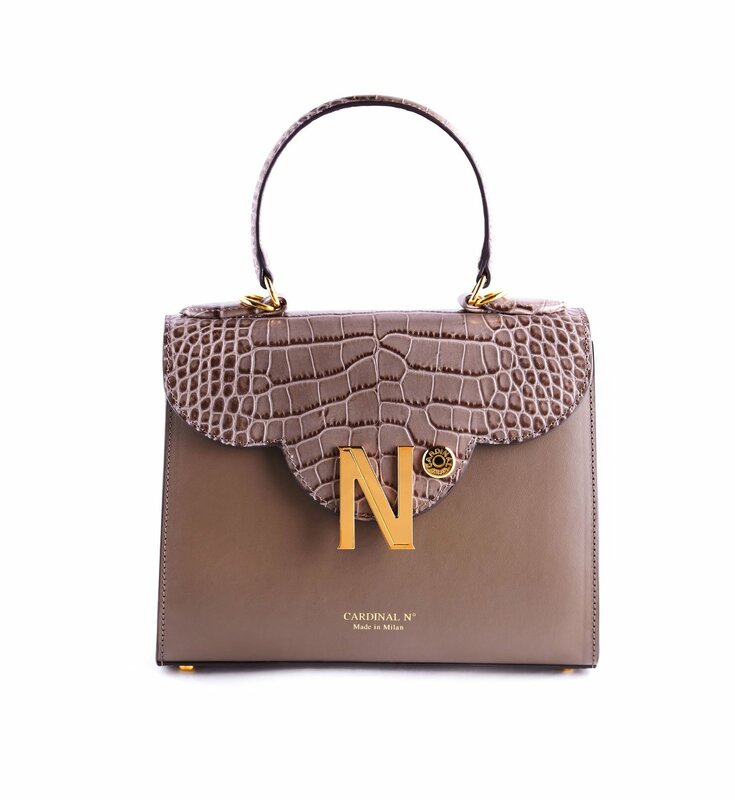 This structured design has been expertly made in Milan from smooth tan leather and croc-effect leather. 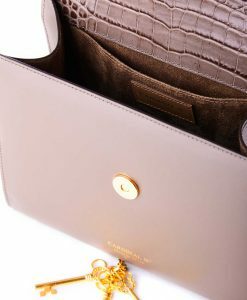 The bag has inside and outside pockets and enough room for your daily essentials. 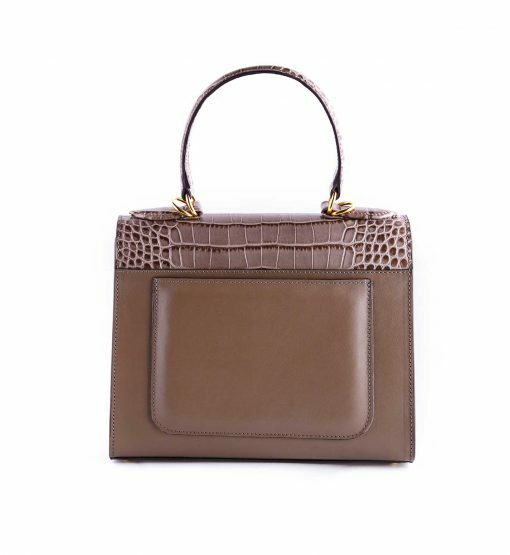 Carry yours by the top handle or use the thick shoulder strap to go hands-free.